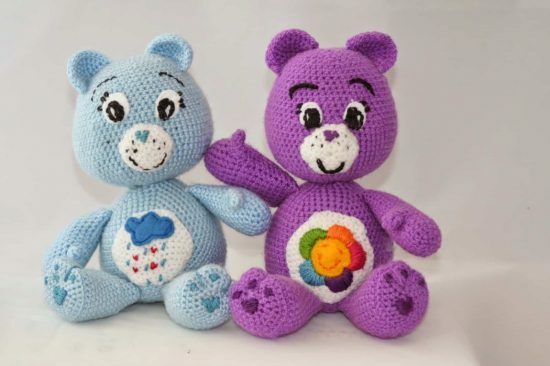 You are going to love these Crochet Care Bear Patterns and we have free versions and a video tutorial that will show you how. You are going to love these adorable ideas. What’s even better than getting a teddy bear for your birthday? 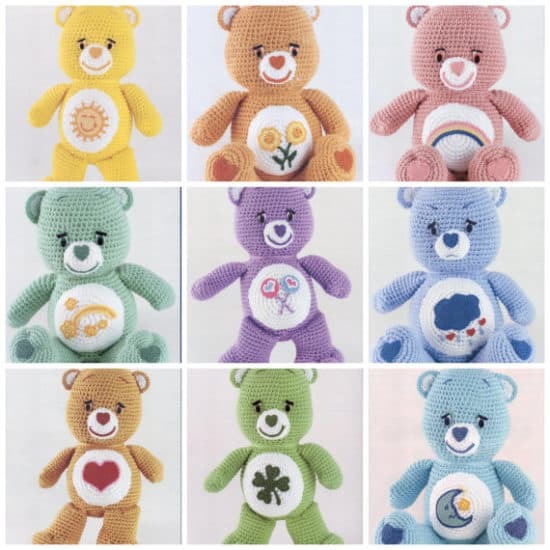 Getting a colorful, cuddly Crochet Care Bear! These adorable bears are so fun to make and Care Bear fans of all ages will love them. 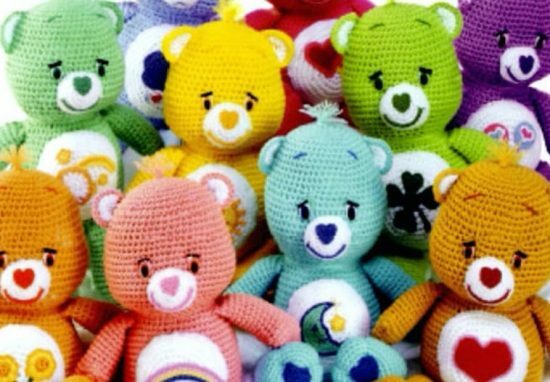 In fact, even if someone doesn’t know who the Care Bears are, we think they’d love one of these homemade bears. This one above from Stitch11, is an adorable version of Grumpy Bear using some felt pieces for his belly instead of crocheting it. You’ll need a N-9mm hook, which makes it a quick project! Here is another free crochet Care Bear pattern from Craftomama. You can basically use any sized hook and any yarn you’d like to make these cuties. Be sure to add them to your collection!